The iconic Rubik’s Cube is being reimagined as a construction toy, in the new Rubik’s Briks toy line from Strictly Briks. Introduced at the recent US Toy Fair, the line launched with three offerings – Rubik’s Briks: 3D Play, Rubik’s Briks: Pixels, and Rubik’s Briks: Pixel Puzzles. All of the products feature the Cube’s classic color palette and many include progressively challenging levels, making the line appealing to diverse age ranges. With Rubik’s Briks: 3D Play, kids use 2×2 3D Brik cubelets to create a variety of different designs, including animals, cars, trucks, and planes. The 3D Play Learning Cube combines 150 square letter and number Tile Briks with a cube of six 6.5-inch x 6.5-inch baseplates. The Pixels and Pixel Puzzles playsets are all about creating mosaic art. These sets combine baseplates and Tile Briks of varying sizes to allow children to create pixel art and complete a variety of puzzles. 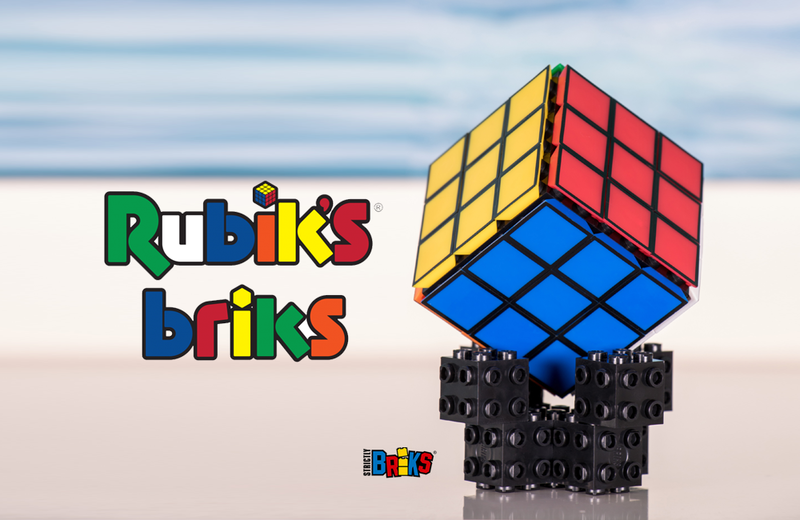 The new Rubik’s Briks line of toys will land on store shelves this Fall, with prices starting at $11.99 USD. American retailer, Hammacher Schlemmer, has created a super-sized, inflatable version of Twister that stands a whopping 15’ x 15’. With their recently released Smart Tech Engine Set with Action Tunnels, BRIO has added a new high-tech wrinkle to an old classic.